Seagate's GoFlex Desk is the world's first single-drive 3TB external hard disk. It isn't egregiously expensive, even though you have to add in the extra costs of adapters for higher-speed transfers. Quiet! Sitting next to either a Core i7 iMac or a CyberPower P55, you had to lean in close to actually hear it running. The good thing about the way Seagate designed the GoFlex is that you can swap the drive itself with different adapters (USB 2.0, USB 3.0, FireWire 800) easily. And no matter what you use—USB 3.0 or FireWire 800—it's going to be faster than USB 2.0, so go ahead and get one of those accessories. Here's the result of the test, transferring both one giant file and a lot of small ones, seeing just how much faster it was not to be on USB 2.0. In both instances, on either the iMac or the Cyberpower, the USB 3.0 and FireWire 800 were noticeably faster, to the point that you're really doing yourself a disservice if you don't have USB 3.0. Some notes, however. There wasn't much of a difference between the transfer rates on the iMac, possibly because it was moving files from an encrypted drive onto the Seagate, which affects file access speeds. But it's interesting how much faster the iMac was on transferring the 8,522 small files than the PC, even though the PC was much faster for the larger file, over USB 3.0. Overall, the drive is quiet, fast, and not too expensive. When you compare 2TB external drives on Newegg to the 2TB version of Seagate's GoFlex, the price range doesn't differ too much. 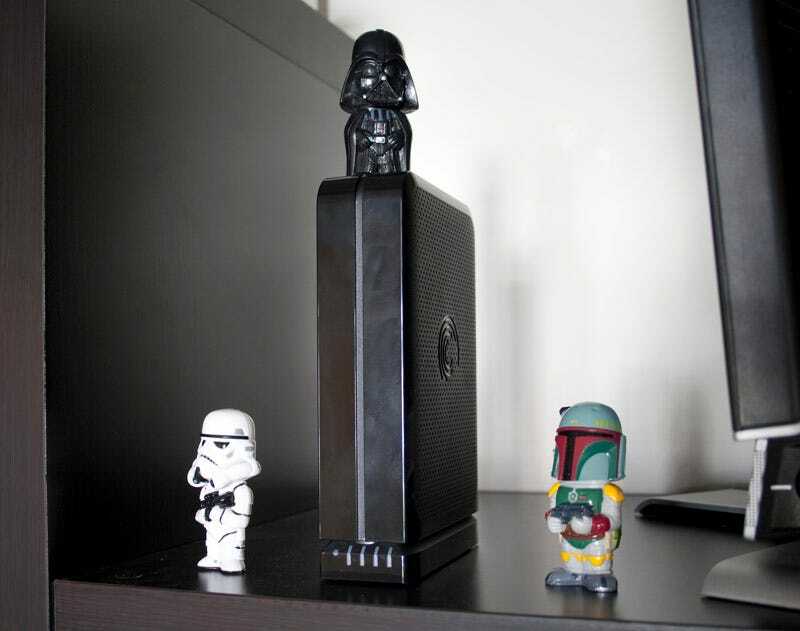 And, of course, this is the only way you'll get a 3TB one in a single-drive, non-RAID configuration.